Here’s a great deal for all the single-coil fans out there. 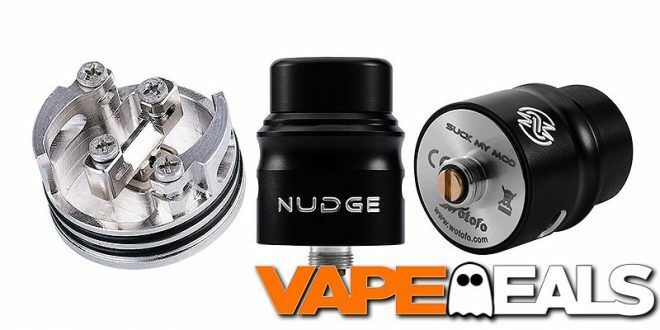 VolcanoEcigs just did a big price drop on the Wotofo Nudge 22mm RDA. You could bring one home today for only $12.99! Hard to argue with that. I’d be all over this deal if they had some other colorways available…but it looks like the only option is BLACK. If that’s ok with you, stop by and claim one for yourself before they sell out. They currently have about 30 in stock, but those could move fast once word gets out. And keep in mind that shipping is FREE when you spend $29.99 or more.